JM Bullion (www.jmbullion.com) is an online retailer of precious metals based in Dallas, Texas. The site specializes in the sale of gold and silver to individual investors. It does not offer any storage or account-related services, but it is affiliated with storage provider TDSVaults and IRA custodian New Direction IRA. JM Bullion has experienced tremendous growth since its relatively recent inception in 2011, even meeting 9-figure sales projections in 2013. The site has a user-friendly interface and offers responsive customer care via email, chat, or phone. JM Bullion's founder is Mike Whittmeyer, who also acquired Silver.com for $875,000 in what wound up being the third biggest domain sale of 2012. For the past two years Whittmeyer has been developing Silver.com as a “parallel brand” to JM Bullion, while also serving as the CEO of JM Bullion since November 2011. JM Bullion supplies a full range of gold, silver, and copper coins and bars in various denominations. Their prices are based on live spot prices that come directly through a data feed from Xignite.com for a continuously up-to-date price that is based on the fair market value of the metals sold, at the time of the sale. Given that the price of gold fluctuates so frequently, JM Bullion's site is set to “lock in” the price of gold for a total of 10 minutes from the time you enter the checkout process – if it takes you longer than 10 minutes to checkout the total cost will be updated to reflect the most recent price. JM Bullion's pricing policy states that customers will pay only the listed price plus any applicable shipping charges. They proudly state on their website that no “service charges or commissions” are taken from the purchase price of the metals sold. 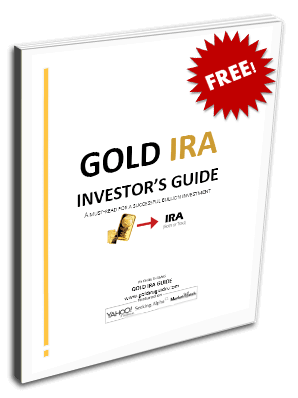 There's also a section of their online catalog devoted specifically to IRA-eligible gold products. Although JM Bullion does not offer precious metal storage themselves, they do refer their customers to TDS Vaults for secure storage, and they have a precious metals IRA page that utilizes their partnership with a firm called New Direction IRA to provide their customers with a way to store their precious metals in retirement accounts. However, JM Bullion doesn't provide much information about New Direction IRA's fee structure and business policies. Gold, Silver, Platinum Price Charts – This page provides detailed charts that you can use to track the progress of precious metal prices over the past 24 hours, 1 week, 1 month, 3 months, 6 months, 1 year, 5 years, or even 10 years. Gold Catalog – This page provides access to JM Bullion's full gold bullion bar and coin catalog, including a section for IRA-eligible gold. Silver Catalog – This pages provides access to JM Bullions' silver bullion bar and coin catalog. FAQ Section – Covers all the basic questions customers usually have about payments, pricing, products, reporting, returns, and shipping. Regardless of how impressive a company or its prices might seem on the surface, you'll never know whether you got the best deal unless you've taken the time to do your own research. Fortunately, you no longer have to spend hours making dull comparisons and looking for the most reputable and affordable way to store precious metals in an IRA, because we've already throughly reviewed and revealed the overall reputation of the top 70 precious metals IRA companies in the world. If you're an owner, representative, or associate of JM Bullion, and you've noticed something on this page that is outdated or inaccurate, feel free to contact us with your concerns. We strive to keep our company reviews as accurate as possible on an ongoing basis. JM Bullion is an online retailer of precious metals based in Dallas, Texas. The site specializes in the sale of gold and silver to individual investors. It does not offer any storage or account-related services, but it is affiliated with storage provider TDSVaults and IRA custodian New Direction IRA.